Shawn Bradley, Shawn Kemp, Patrick Ewing, Eric Leckner, Bo Outlaw, Sean Rooks. These are all guys Shaq has dunked on, but they are also guys that 6’2 Robert Pack dunked on. 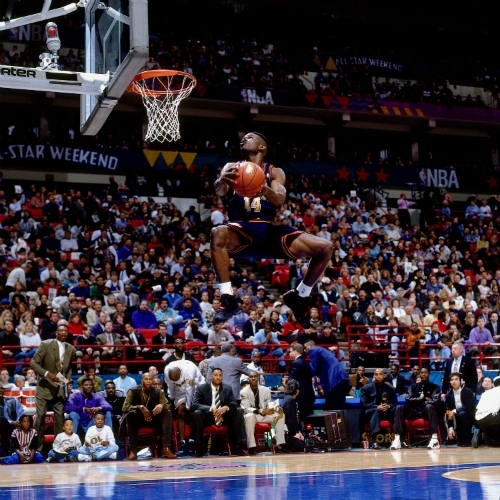 6’2 isn’t considered as short as it was in the 90s, but in the golden age of hip hop, Pack was the shortest “little man” in the league that was dunking on players. 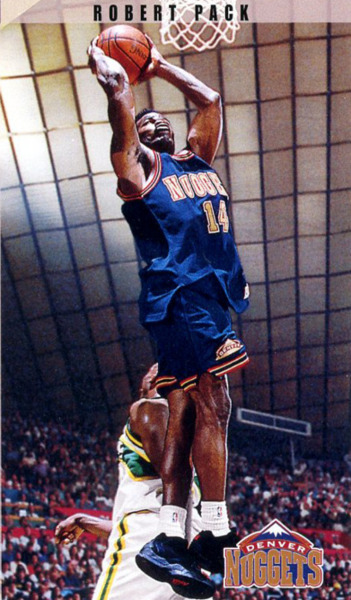 During the finals of the 1994 dunk contest that JR Rider won, Charles Barkley even said Pack might be the best dunker in the event. I do think Rider was a “better dunker” but Pack has actually had more posters on players than JR Rider had in his careers. It’s only fitting that Pack is currently an assistant coach for Lob City.